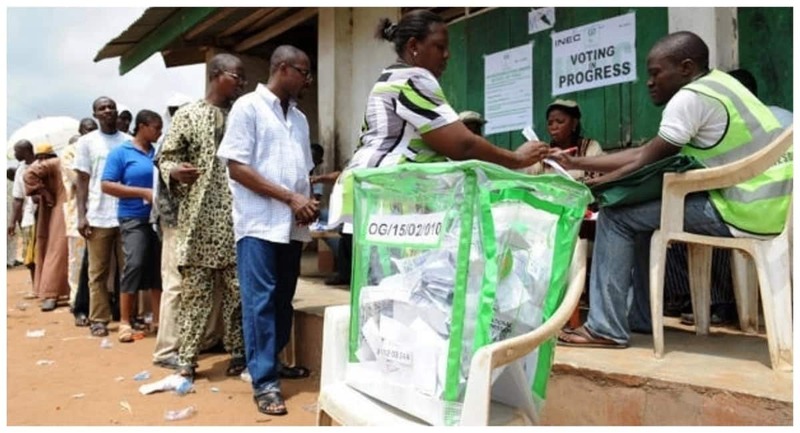 The chairman, Anambra Catholic Education Commission, Reverend Father Hypolite Adigwe, has urged Nigerians to eschew sentiments and vote for the right leaders at all levels. Adigwe made the call at the Missionary Society of St Paul of Nigeria, Abuja during its 2019 Annual St Paul Lecture, on Sunday, January 20, in Abuja, the News Agency of Nigeria (NAN) reports. The theme of the 2019 Annual St Paul Lecture was "Youth Formation, Civic Responsibility and Political leadership: Envisioning a better Nigeria." He said that credibility and integrity should guide their choice during the forthcoming general elections. The cleric advised the electorate against being coerced to vote the wrong people who would not contribute to the growth and development of the country. He added that peace and socio-economic development of the country should guide them in electing leaders of proven integrity and unquestionable character. On youth involvement in politics, he said there were numerous benefits to them as they would be more inclined to serve in their communities. He said that engaging youth in the political process was not just beneficial in the short-term, but it would also lay the foundation for strong political engagement in the future. The cleric advised the youth to recognise that they are tomorrow’s leaders and with that in mind, they must be more involvement in how their future will look like. He, however, called on the federal government to support the youth with tools and opportunities to learn and steer their participation in the right direction. Austin Uganwa, a political analyst in his paper, faulted leadership succession in Nigeria, adding that the country was being lead by persons who were not prepared for challenges. Uganwa said that there was an urgent need for generational shift in political leadership structure in the country to equitably incorporate well-informed and properly equipped youths. He enjoined the Independent National Electoral Commission (INEC) to ensure a credible electoral process that would provide the window for the emergence of the right political leaders. Earlier, the academic dean of the seminary and chairman of the organising committee for the annual lecture, Reverend Father Daniel Ihunnia, described the event as part of the seminar towards the ongoing national debate on politics and governance. Ihunnia said there was a need to continue to educate the electorate to vote for credible people, who would not aid or support wrong policies or evil acts. Meanwhile, Legit.ng earlier reported that Most Reverend Segun Okubadejo, the Diocesan Archbishop of Ibadan Province of the Anglican Communion, appealed to Nigerians to focus on electing credible candidates and not parties. Okubadejo made the plea in Ibadan while briefing newsmen on the activities lined up to mark the 20th anniversary of the Diocese of Ibadan North Anglican Communion.